this is such a gd fone! i recommend it defniently. but there r some problems like the camera sound that cannot be turned off, on some mobile fone plans (like mine) you cannot acces the 'play now' section and you can only choose from the provided message alerts (but this is not that big of a problem). 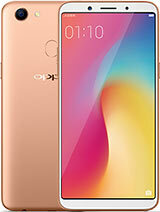 overall, i do think this fone is gr8 and if your looking for a inexpensive mobile with all the features, this is the on to go for. Just got this phone... i think it's nice.. But, I'm having problems with the camera. Can anyone tell me how I can switch off the sound when taking photos? the sound is very loud & irritating! Pls advise. Great phone, no complaints about it. I bought it one year ago and nothing is wrong with it. Great screen, takes wonderful pictures (unless you are some sort of snob and expect 5.2 MP quality), the sound is great and i never had any problems with the joystick, but then again i don`t nail stuff in wood with it cuz you know ... it`s a phone. Also at the price it was released i wasn`t even DREAMING i would get such a great phone. DOeS Tis HP HAV ani USB port..?? they say YES..but where is it..???!! 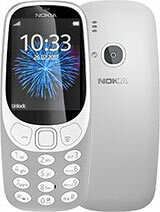 Well, optus are fasing out the Sony Ericsson K508i and im hoping i can get my hands one of the last at the local depatment store, i ordered one so im hoping, But if it dont come i hav to look at this phone with virgin, is just as good as the K508i? and whats the difference, they look the same and look like they have the same features? hye all.. do this hp has a bluetooth connection? plz someone answer me? I have my K500i for 8 months now and my advice for you is to go and buy it now. 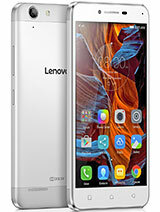 It is a great phone, it has a good camera, a nice display, good and clear sound, decent batery his only minus is that it has a short memory, but for me it is ok. The joestick works well, I had no problem with this phone until this moment. For those who say this phone has problems I can only say that it is like a lotery, you can get the latest phones from any top brands and it can brake down anyway. In my opinion this phone is one of the best and SE is the best mobile manufacturer, my next phone will be K750. The k500i is the best phone ever. Great Camera, Great sharp 128x160 screen. You have unlimited video recording. Thanks my prob is solved now with my joystick thanks! hey u all whining about ur joystick. i have the solution to ur problem. its sipmle. hold the joystick down with ur thumb and keep rotating it in circles for about 2 minutes. ur prob will be solved.